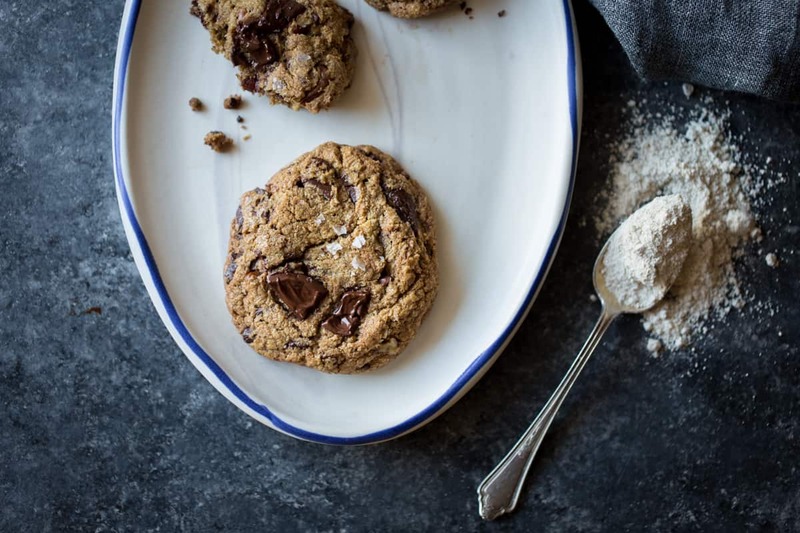 Soft and chewy gluten-free chocolate chip cookies can easily be yours with just a single alternative flour of your choosing (oat, teff, buckwheat, or mesquite) bound with a bit of tapioca starch – no gums needed. 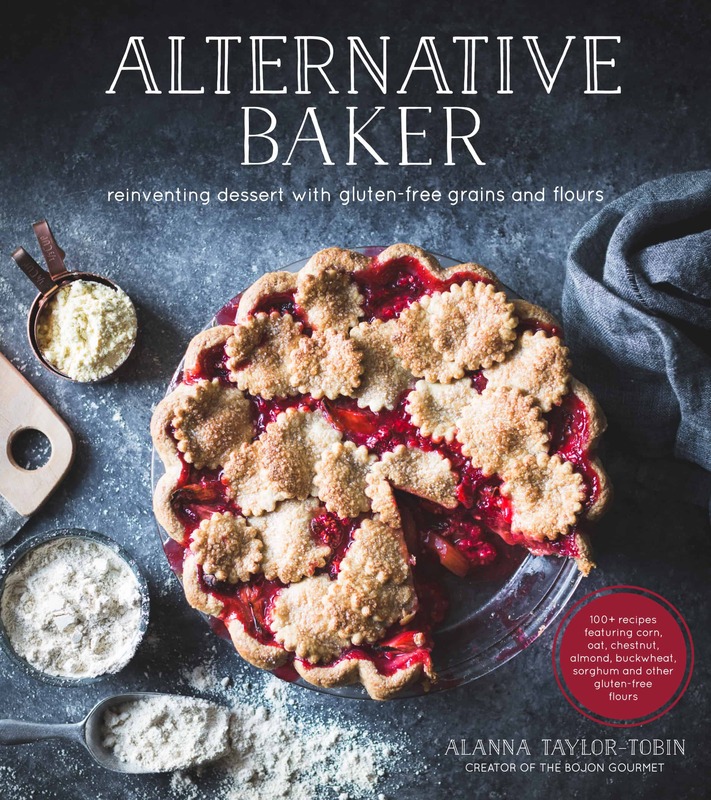 Alternative Baker has been out in the world for two weeks, and I love seeing what everyone’s made! The cookie recipes in the book were some of my favorites, and they’ve proven well-loved by my fellow foodies as well. Alana, Yossy, Sarah, and Kate made Buckwheat Double Chocolate Cookies. Lily made Tart Cherry, Chocolate, and Hempseed No-Bake Oat Bars. Emma and Asha made Pistachio Lime + Matcha Snowballs. And Sasha made the Cherry Chestnut Chocolate Chip Cookies on which these four gluten-free cookies are based. Now let’s get our cookie on. 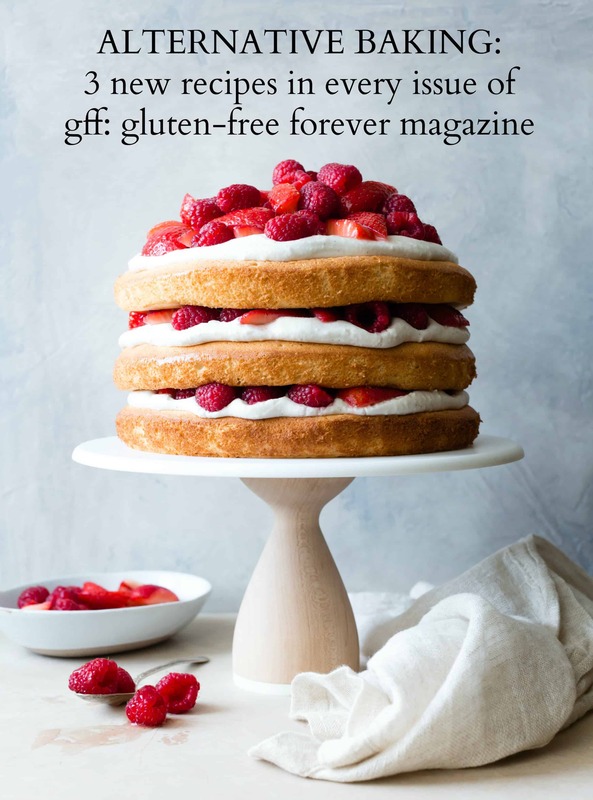 Buckwheat flour isn’t a true grain but the seed of an herb plant related to rhubarb, and is made from toasted, ground buckwheat seeds which give the flour a roasty flavor. 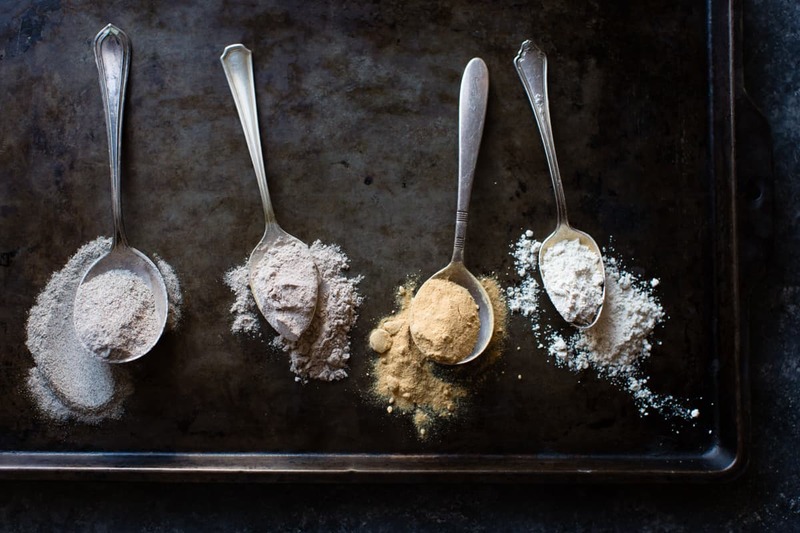 Teff flour comes from a tiny grain native to Ethiopia best know for Injera (fermented Ethiopian flatbread), but the flour smells like malted chocolate milk and tastes delicious in baked goods. Mesquite flour is ground from the legume-like seed pods of the mesquite tree native to the Southwestern US. 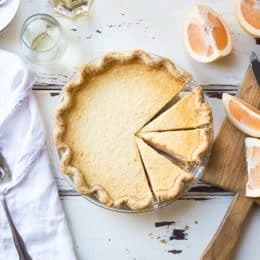 The rust-colored flour is sweet, with a wild, earthy fragrance that reminds me of graham crackers or warm gingerbread. The cookie recipe begins with melted butter, simmered until golden with vanilla bean. The hot butter hits organic white and brown sugars, causing them to melt slightly and encouraging crackly tops on the finished cookies. 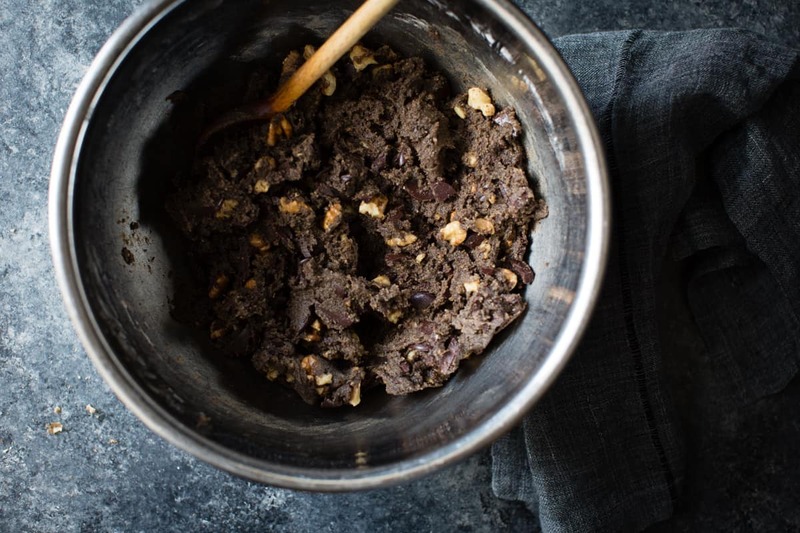 Into that goes an egg and some tapioca flour to bind the cookies together, a little baking soda for lift, a good dose of salt to counter the sweetness, an alternative flour of choice, and loads of toasted nuts and chopped chocolate. Give it a good stir, then let the dough sit for 20 minutes or so to firm up (or longer if you can stand to wait). 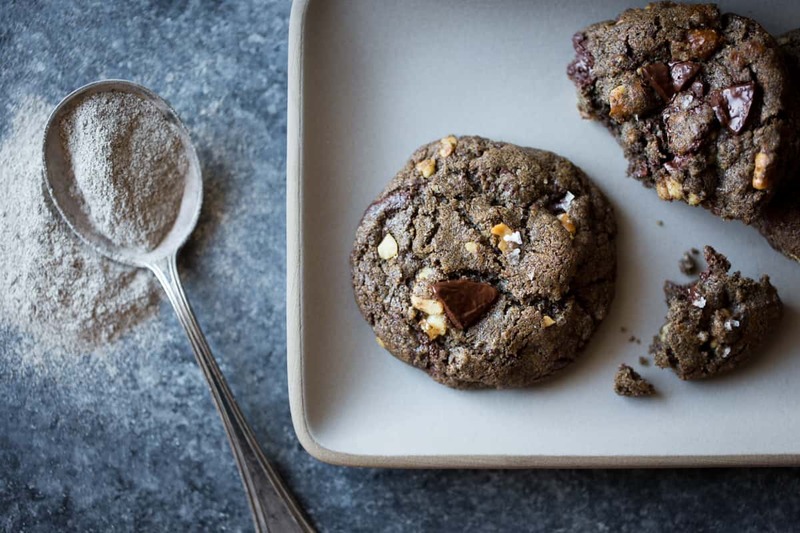 The cookies bake up with crispy edges and soft middles, with a chocolate-to-cookie ratio that’s just to my taste (i.e. : heavy on the chocolate). Into four different batches went oat, teff, buckwheat, and mesquite flours, respectively. 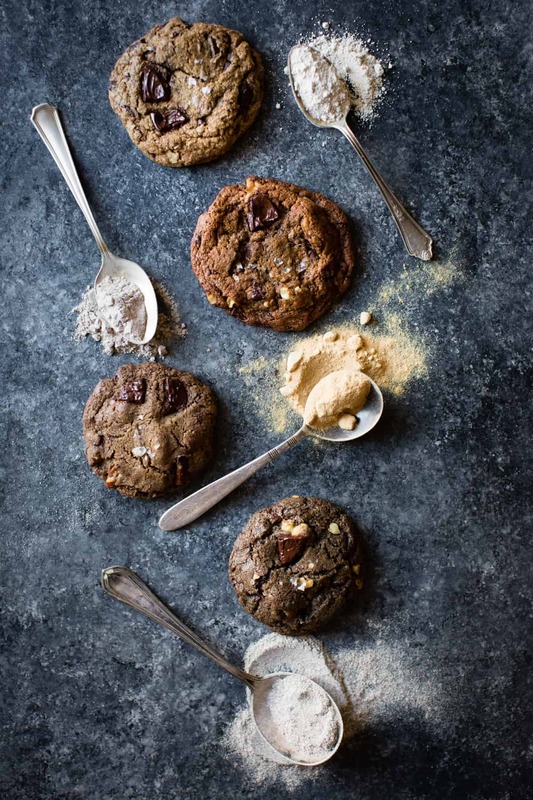 The cookies baked up into a rainbow of color – from charcoal-hued buckwheat to rust-colored mesquite – and the flavors were just as vibrant. 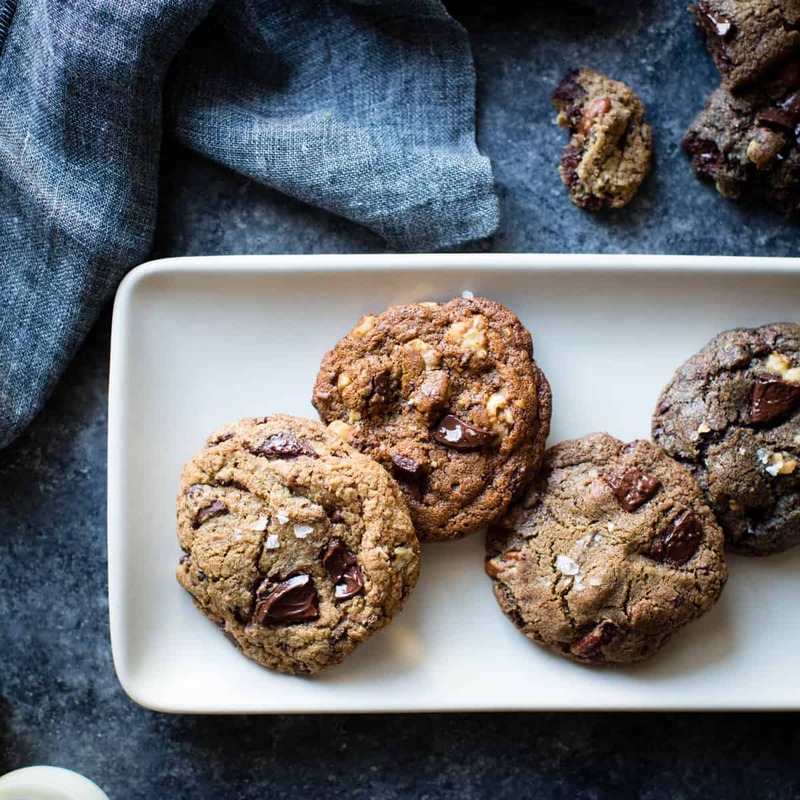 Oat flour cookies had a mild, nutty quality that smacked of classic oatmeal. Malty teff lent intense butterscotch notes. 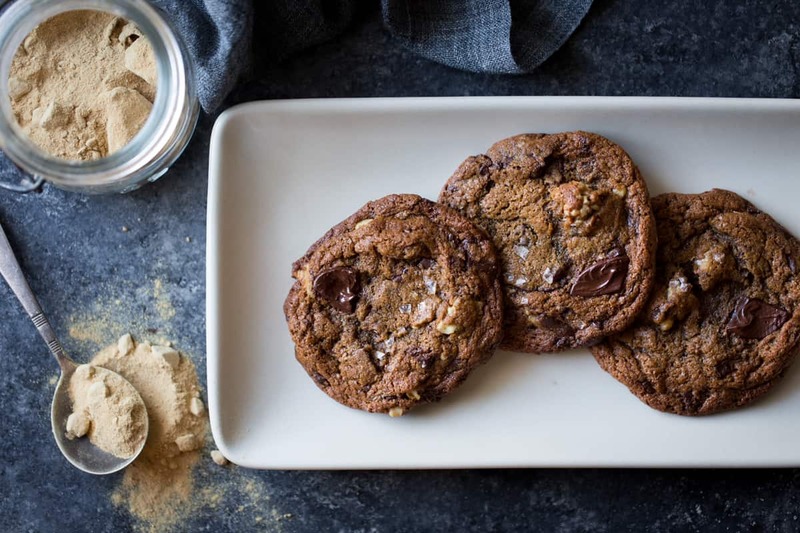 Mesquite made for ultra-chewy cookies that taste like warm graham crackers. And buckwheat carried smoky notes of black coffee and spice. To my surprise, I couldn’t pick a favorite; I appreciated every one for their unique characteristics, and found my hand reaching for a different cookie every time it wandered into the cookie box. My testers all had their individual preferences, but no cookie was unanimously loved or loathed above the rest. 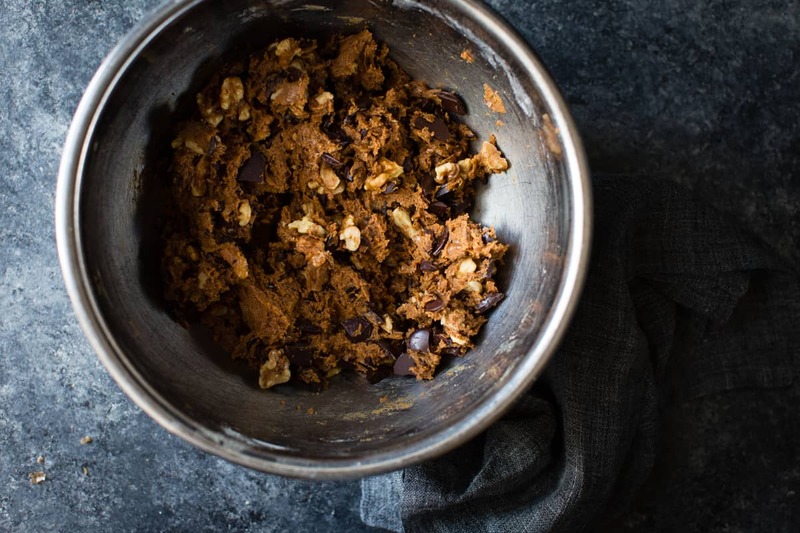 So head over to Food52 get the recipes and discover which alternative cookie is right for you. And don’t forget the milk. Cook book arrived last week in the mail. SO HAPPY. 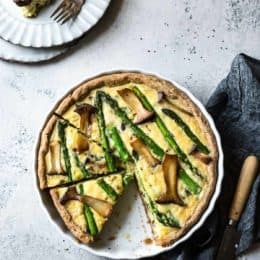 It’s beautiful and great lay out and thanks for the tips on easier recipes to try first! I’m bringing my daughter to San Fran Nov 2-5th – maybe you are around in public to meet at an event? 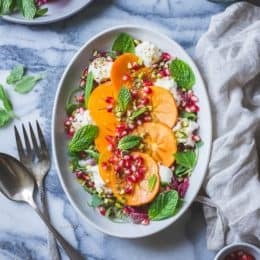 Any restaurants you recommend? We will be staying in the Mission/Dolores neighbourhood! Eek! 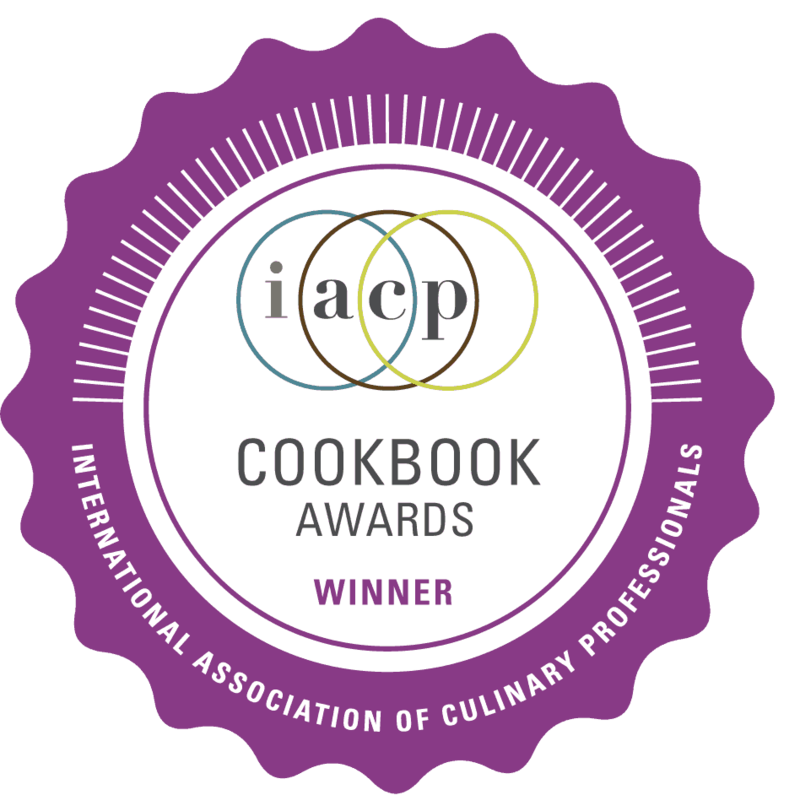 Congrats on the cookbook, it looks BEAUTIFUL!!!! And so do these cookies, I wouldn’t be able to choose a favorite either! 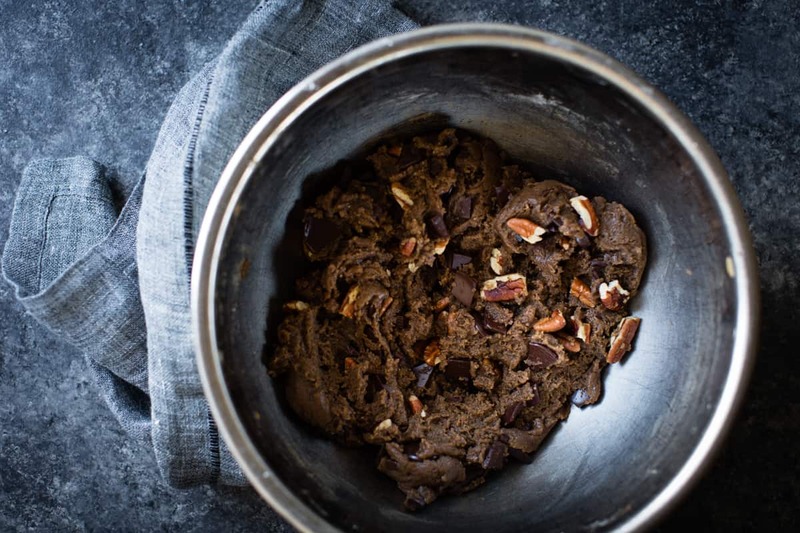 These look amazing…I love to bake/cook/blend something for family and friends for the holidays. 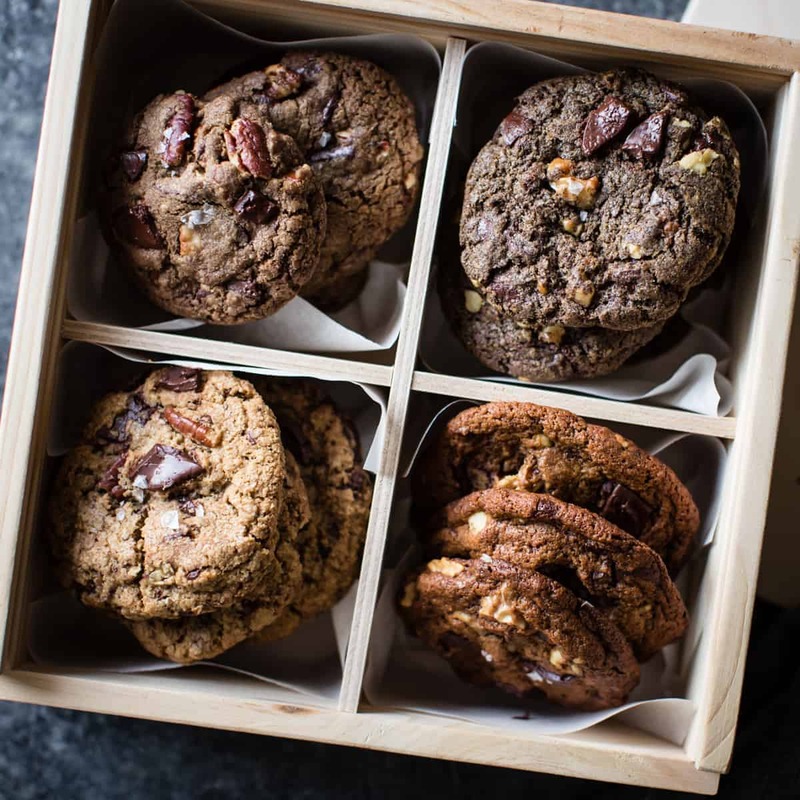 This year it will be choco chip cookies 4 ways in cute little boxes with recipes. And I too LOOOOOOOOVE my new cookbook although so far all I’ve done is gaze at the beautiful pictures. I’d like any other suggestions to make this dairy free. I don’t have access to Earth balance and would rather not use margarine. Sometimes I do a combo of coconut oil and plant-based milk, so I’ll probably try that, but I’d love to hear any other suggestions! 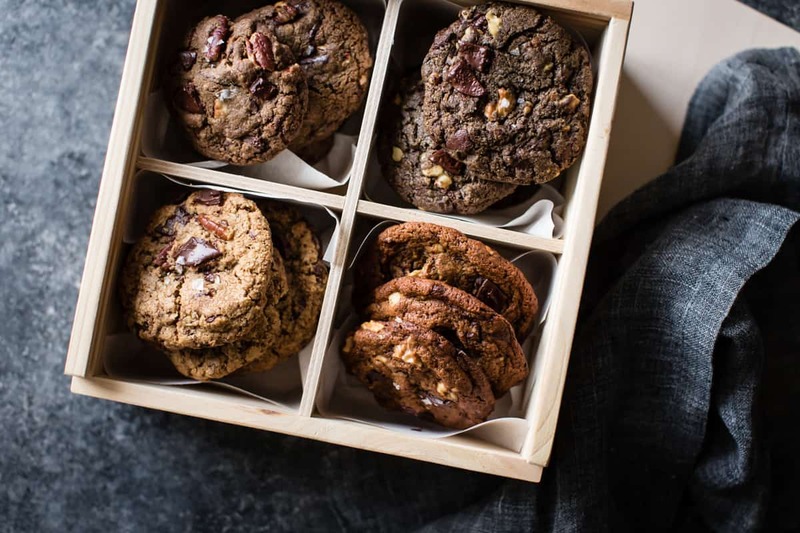 Is 10AM on a Monday morning too early for cookies?! I sure hope not because these beauties are calling my name! Another winner! 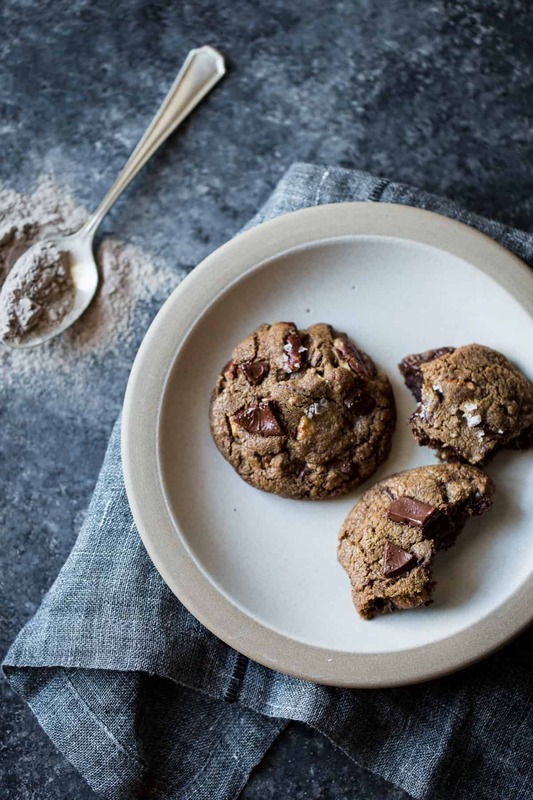 I made the teff flour version of these cookies with GF mini chips and they are fantastic. 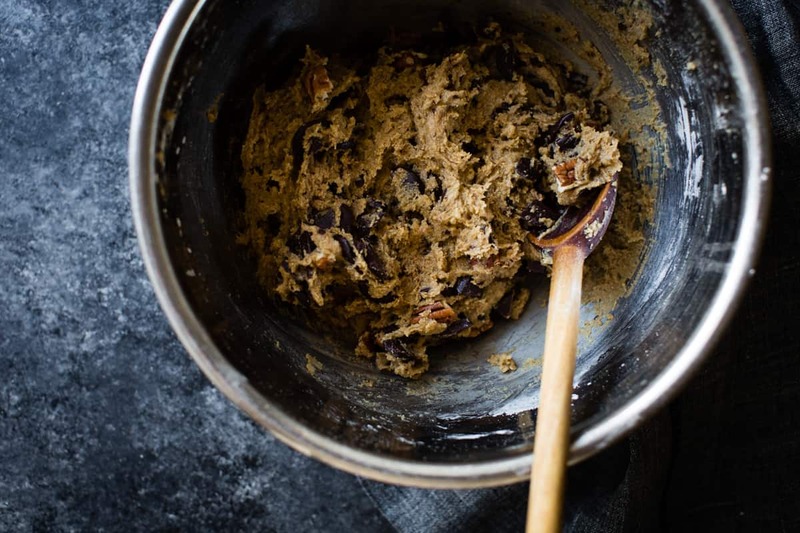 No more searching for the perfect chocolate chip cookie recipe. GF or otherwise, this is it. Mine came out flatter than the picture, but I like a thinner cookie. They are gorgeous with perfectly crisp edges and soft centers. Thanks again, Alanna! I’m so glad you loved them – thanks a bunch for the sweet note! Not sure how I missed this when it was published but I am so glad I found this. I was looking for a cookie to make for someone at work who has some dietary needs as well as for me (long story there.) These are so very good. Made mine with oat flour. My husband said that he may like them better than the “regular” ones I have made for years and are the house standard. One thing I found – I rolled balls (no scoops at home) and then flattened them so they formed disks. That way I didn’t have a blob of uncooked dough in the middle. These are so, so good Alanna. You have hit it out of the park AGAIN!